Gliomas are among the most lethal malignancies in the world with dismal outcomes for high-grade tumors. 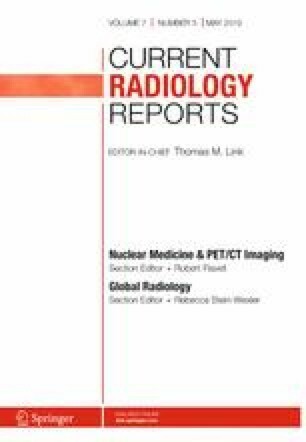 These lesions are difficult to completely characterize with conventional magnetic resonance imaging and amino acid positron emission tomography is a rapidly progressing area of research with widespread clinical use. Amino acid positron emission tomography allows for more accurate glioma characterization compared to traditional imaging techniques including grading of disease, delineation of tumor spread, identification of recurrent disease, and prognosis. While the summarized radiotracers share some diagnostic properties, each also has its own weaknesses and strengths. This article summarizes recent developments and clinical applications of the most widely used amino acid radiotracers. While none of these agents are FDA approved in the United States, they are considered standard of care in Europe and other parts of the world with > 10,000 studies being performed in some centers (Langen et al. in J Neurooncol 120(3):665–666, 2014). Ephraim E. Parent, Akash Sharma, and Manoj Jain each declare no potential conflicts of interest. Papers of particular interest, published recently, have been highlighted as: • Of importance. • Galldiks N, Stoffels G, Filss C, Rapp M, Blau T, Tscherpel C, et al. The use of dynamic O-(2-18F-fluoroethyl)-l-tyrosine PET in the diagnosis of patients with progressive and recurrent glioma. Neuro Oncol. 2015;17(9):1293–300. https://doi.org/10.1093/neuonc/nov088. Static and dynamic FET PET parameters differentiate progressive or recurrent glioma from treatment-related changes with higher accuracy than MRI. • Parent EE, Benayoun M, Ibeanu I, Olson JJ, Hadjipanayis CG, Brat DJ, et al. [(18)F]Fluciclovine PET discrimination between high- and low-grade gliomas. EJNMMI Res. 2018;8(1):67. https://doi.org/10.1186/s13550-018-0415-3. Fluciclovine PET is able to discriminate between both low-grade and high grade gliomas and normal brain by visual and semiquantitative analysis.